The Grandview Cyber Fixed Frame 2.35:1 Home Cinema Projector screen is ideal for a more permanent home cinema set-up where the wider screen can be mounted to a dedicated position on the wall, we also sell retractable Grandview screens. The GrandView Cyber Fixed Frame 2.35:1 projection screens offer the ultimate in uniformly flat projection surface. 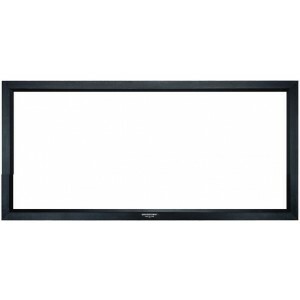 Ideal for permanent more dedicated cinema rooms, the wide fixed frame screen gives a true cinematic experience.